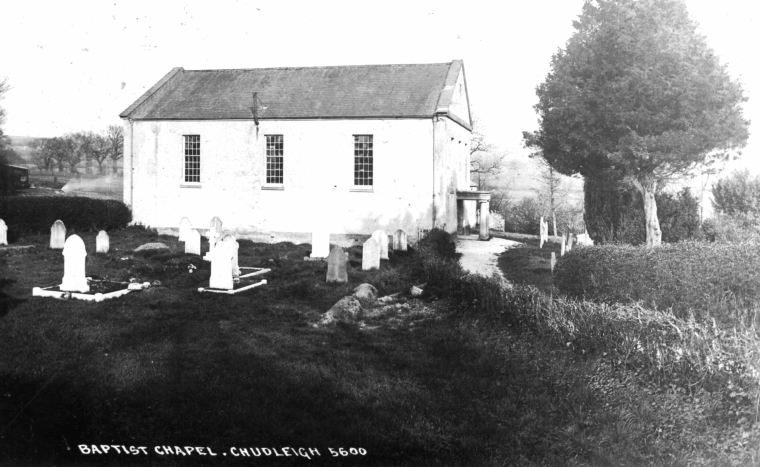 The Baptist Chapel and original burial ground around 1905. A modern driveway now covers this ground. Today, the 'burial' ground is a rectangular site located alongside and to the east of the Exeter Road about a quarter of a mile north of the town. It is surrounded by trees which gives an impression of seclusion despite being close to the main road. The site is accessible via a path on the left of the driveway of the old chapel residence and new housing development beyond. The gravestones – of which there are 30 upright examples – are no longer in their original positions and have been arranged around the west, north and east boundaries of the site. On the west are 13 stones, the north there are 10 and along the east side there are seven. All of these are in reasonable condition and span the period 1871–1934. 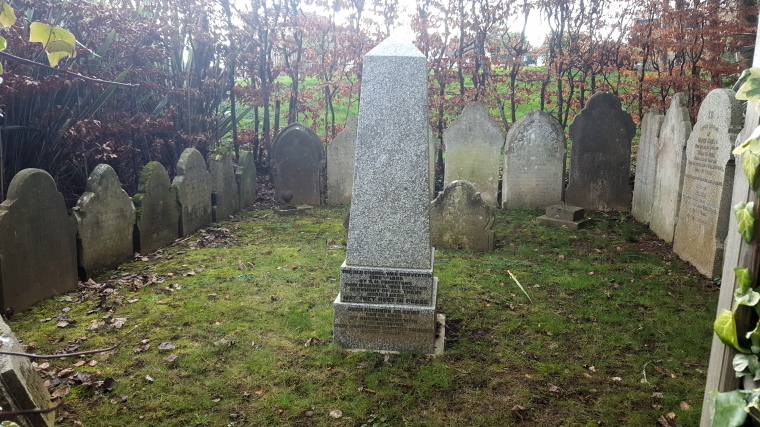 The area surrounded by the stones contains a modern gravestone in the style of an open book erected in 1922 and four separate small stones which together all originally formed part of one memorial to three children of Mr & Mrs Frank White. There is one further gravestone likely in its original position although now laid down with inscription uppermost, it is cracked across-wise in 3 places. It is located alongside Bottle Brook to the right of the main driveway entrance but as it is on private property this stone should not be accessed without prior permission. The following is a list of those of the Baptist Church whose memorials still exist on site. If you require any further information on any of those listed below please contact us as we may hold additional information recorded from the stone.